Vox AC15C1 Custom 15 Watt 2 Channel Guitar Amplifi..
During the 1960s, rock music truly came into its own when musicians re-wrote the book on electric guitar by conjuring fantastic sounds and styles never before imagined. Leading the sonic charge during that exciting decade was the Stratocaster, which became not only an even more versatile musical tool, but also a true cultural symbol. 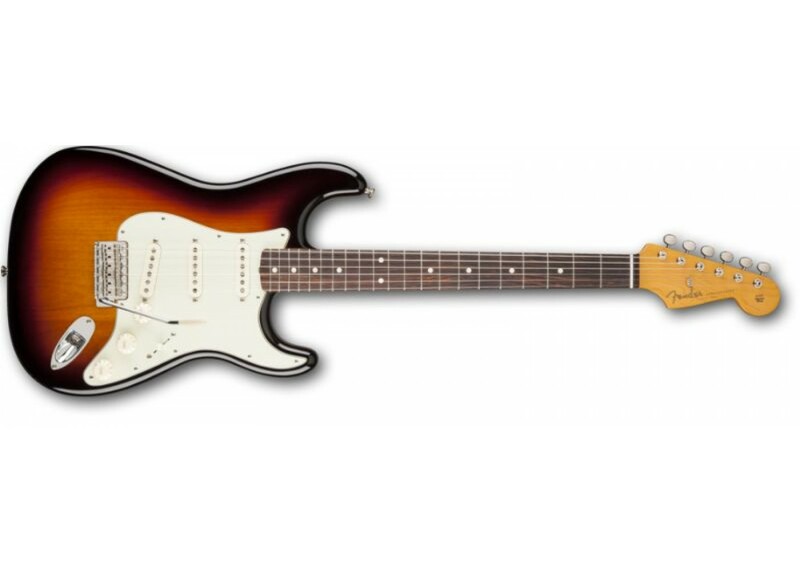 The Classic Series '60s Stratocaster Lacquer evokes that golden chapter in Fender® history with an authentic nitrocellulose lacquer finish on its sleek alder body. 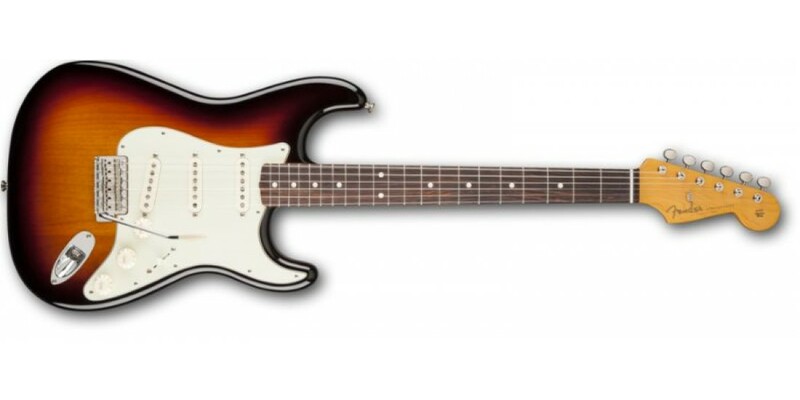 Other features include a C -shaped maple neck, 7.25 inch-radius rosewood fingerboard with 21 vintage-style frets and vintage-style ivory-dot inlays, three vintage-style single-coil pickups with five-way switching, multi-ply pickguard, aged control knobs and switch tip, vintage-style synchronized tremolo bridge and vintage-style tuners. Tweed case included.